Brooke Baldwin is an American TV news anchor and a renowned journalist. She is working at CNN news source. She works as a host of a program called CNN Newsroom with Brooke Baldwin on CNN network. Baldwin has been active on CNN since 2008. 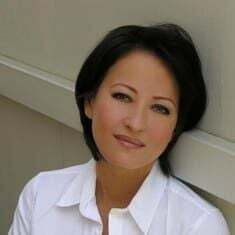 During her tenure with CNN, she has covered numerous major stories including 2012 Presidential Election, 2016 Presidential Election, Osama Bin Laden death story and other. Baldwin is married to her longtime boyfriend, James Fletcher since May 2018. The pair resides in New York. 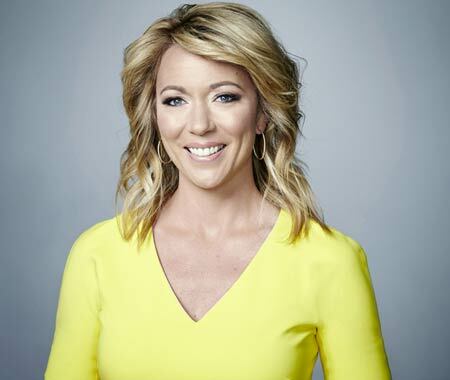 Brooke Baldwin is one of the renowned names in the field of journalism. She was born on July 12, 1979, in Atlanta, Georgia, U.S. She is an American by nationality and belongs to the White-American ethnicity. Baldwin completed her schooling from Westminster school. Shortly after she completed her higher education, Baldwin joined at the University of North Carolina for further studies. Baldwin graduated from the Univesity with the dual degree in Journalism and Spanish. Before Baldwin finished her graduation she also had studied at Universidad Iberoamericana in Mexico City. Baldwin started her profession at a local news bulletin channel at Virginia. She has worked for several news bulletin channels. Afterward, in 2008, she received the enormous chance to work for the country’s one of the leading news channel, CNN. She hosts CNN Newsroom with Brooke Baldwin from 2 to 4 pm ET on weekdays and is based in New York City. In July 2011, she co-anchored CNN’s special coverage o the final launch of Space Shuttle Atlantis (STS-135) from Kennedy Space Center. In 2012, her documentary To Catch a Killer won a Silver World Medal Award for Best Investigative Report at the New York Festivals International Television & Film awards. She also reported the 2012’s Election for new President. In 2014, she received a nomination for an Emmy for her special report of the NYC chokehold death protests in wake of Eric Garner’s death. In June 2016, she made a live broadcast from Orlando covering the victims and survivors of the Pulse nightclub scene of the second largest mass shooting in the U.S. where almost 50 people were killed and 50 plus injured. In November 2016, she covered the presidential election results and the victory of Donald Trump defeating Hillary Clinton. She also reported the inaugural ceremony of President Donald Trump in January 2017. The media personality also hosts CNN’s New Year Eve Live with Anderson Cooper. Previously, she hosted alongside Kathy Griffin and Don Lemon- live from New Orleans. On May 14, 2014, Baldwin gave the announcement address at The University of North Carolina at Chapel Hill. Baldwin’s estimated net worth is $1.3 million. According to a source, CNN news anchors make $150K annually in an average salary. But, her salary is above than the range as she is one of the experienced journalists in the CNN. Baldwin is the top newscaster operating in CNN news bulletin channel. Baldwin’s eye-catching beauty can definitely mesmerize any spectator of her show. Baldwin some social sites including Twitter, Facebook where anyone can find her personal information. At the time of her interviews and TV shows, she wears outfits that show off her good-looking and toned legs. In 2015, Brooke Baldwin was criticized when she incorrectly attributed comments she heard that veterans were responsible for the unrest-claiming that police officers were returned from the war, they did not know the communities and they became ready to do battle. But, she later apologized via her Twitter and on-air the next day. 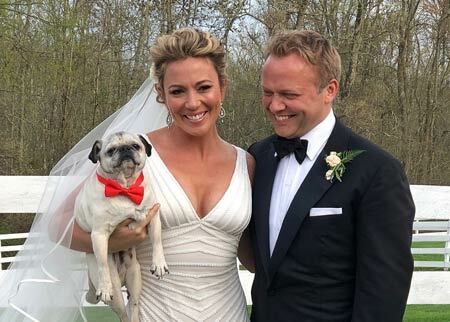 Brooke Baldwin is a married woman. She married her fiancee James Fletcher in May 2018. The couple’s wedding took place on 6 May 2018 at the Hudson Valley North of New York City. They married in front of their close friends and family. She received a tone of congratulation message from her colleagues and well-wishers. 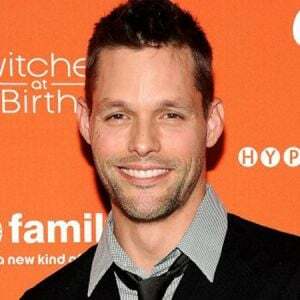 Baldwin was engaged to her longtime boyfriend, James Fletcher. The pair got engaged in July 2017, on a vacation. She announced her engagement via Instagram and said that she was getting married soon. Baldwin and her fiance met at a holiday party in 2015. The couple has spent many vacations together. She and her fiance have been flexible in their relationship. Baldwin's fiance, Fletcher is a native of England. Fletcher is a director and producer who has produced several advertisements for political campaigns. Fletcher received his U.S. visa in 2016 and is currently residing with Baldwin in New York. Baldwin was rumored to be married to some veterinarian in 2010. According to her, some online sources randomly spread the news. She also added that this will be her first marriage. Baldwin is a beautiful anchor. She has the qualities and attraction essential to be a media person. She just looks out of this world on screen. Baldwin is also quite busy on social media like Facebook and Instagram where she has a mega fan following with 84.5 K followers, as of 2019. Favorite food: Bakery items and Pizza. Is CNN News Room Anchor Brooke Baldwin Married? See Details About Her Affairs And Body Measurements!! Is CNN Newsroom's journalist Brooke Baldwin engaged? Find about her net worth and married life! !